Your spine is the part of the body that holds you straight throughout your lives. 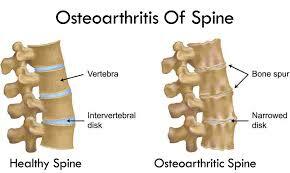 However, the spine begins to deteriorate as early as your 20s and 30s and continues to do so with age. A little discomfort, soreness, and pain in the back are expected with the gradual aging, but some steps can be taken to maintain your spine health and flexibility well into old age. Here we tell you how to keep your back healthy by watching your level of activity, diet, general health and attitude. What happens to the spine with age? With age, our bodies, especially our spine, becomes less equipped to handle the load which it bears day in and day out. 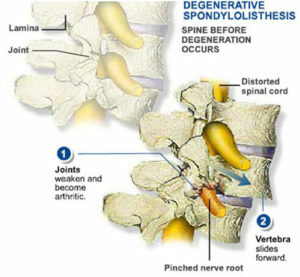 These changes manifest itself through the degeneration of the spine. The spine is made up of individual bones called vertebrae, stacked one on top of the other. The vertebra is linked with joints that allow the spine to move. It also consists of discs with jelly-like centers. These discs provide the back its ability to absorb weight and shock during motion, preventing the bones from rubbing against each other. When young, our discs are soft and act as a cushion for the vertebrae. With age, these discs increasingly become less supple as they begin losing their water content. They start wearing out and the gap between them gradually decreases, causing the individual vertebra to rub against each other. This can lead to stiffness and intermittent back pain. Since your spinal discs are responsible for keeping your vertebrae in the proper position, disc erosion can cause vertebrae to move too close together and the nerves in our spine to become compressed and pinched. This spinal nerve compression, called spinal stenosis, may result in lower back pain, numbness, or the feeling of weakness in the legs. These symptoms characteristically occur while standing or walking more than a short distance but dissipates once you sit down or lean forward. As the cartilages cushioning the facet joints deteriorate with age, they are left without any padding, resulting in a condition called osteoarthritis. Osteoarthritis affects the parallel column of joints that connect the individual vertebra of the spine behind the spinal canal. Symptoms of this condition include pain and stiffness in the back. Osteoarthritis may also cause radiating leg pain and weakness known as sciatica. This is the misalignment of one vertebra over another due to weakened facet joints, ligaments, and bones. This condition is primarily seen in adults above the age of 65. 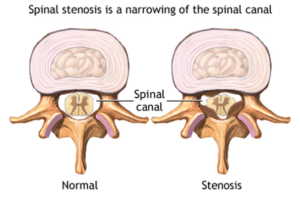 Typical symptoms of this condition consist of lessening of the lower back and/or leg while sitting and worsening of pain while standing straight. In addition, there is acute stiffness in the lower back and considerable pain while bending backward. 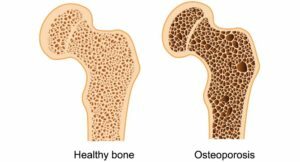 A loss in age-related bone density and strength gives rise to a condition called osteoporosis. Osteoporosis makes the bones, including the spinal vertebrae prone to fractures. With compression fractures, the vertebral bone partially collapses, losing a part of its height, resulting in acute back pain, spinal deformity, height erosion and loss of ability to do normal physical exercise. While there is no escaping the fact that aging will affect your bone and spine health, by taking early measures it is possible to stave off the worst of the degeneration process to maintain a healthy back. Keeping up with your daily requirement of Vitamin D through supplements, enough exposure to sunlight and food is key to maintaining strong bones and a strong back in turn. There is a direct relationship between spinal health and calcium intake. It is recommended to have 1,000 milligrams of calcium a day for men age 51 to 70 and 1,200 milligrams for women over 50. Eating anti-inflammatory foods will also maintain your body and your spine’s fitness. 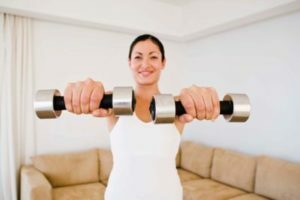 Avoid overdoing it with repetitive movements that can lead to muscle strains and sprains. Spinal health is not only about weight loss but rather maintaining an optimal body weight that does not put undue strain on your back and legs. Preventing your spine from bearing more weight than it is designed for is a great way of protecting it. 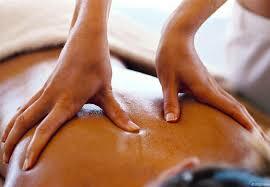 A good massage helps spike the levels of endorphins, which is the body’s natural painkiller. It also boosts blood flow to the affected area which in turn speeds up the healing process. 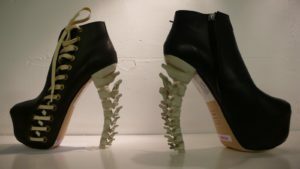 To support your spine and to maintain its alignment, wear shoes that give proper support to the heel without being overly tight. Good fitting shoes prevent the foot from rolling outside or inside too much during any physical activity. Avoid high heels. Unnecessary and excess stress literally ties you up in knots, especially the muscles in your neck and back. Find ways to relax and loosen your muscles on a daily basis for long-term back health. Depression can contribute significantly towards back pain. Seek counseling to combat it for better overall health. In addition to being bad for the lungs, smoking speeds up osteoporosis, making the bones more fragile and brittle. It is also associated with the loss of shock-absorbing properties of the gel found in vertebrae discs, expediting the degenerative disc process. Poor control of blood sugar or glucose as a result of diabetes is associated with spondylosis and back pain. A reduced physical activity that accompanies back pain, sets in motion a vicious cycle of increased weight gain and a spike in sugar levels, exacerbating spinal degeneration. Back pain and injuries that are ignored can go on to become a cause of serious concern in the future. Injuries to the back and any sort of pain should be treated with rest, ice, elevation, and compression. Recurring and debilitating pain, even if age-related, is not normal. It should be given the medical attention it requires for mitigation. Even though it is impossible to stop the effects of the natural aging process, it is possible to minimize the chances of developing severe spinal conditions by paying attention to your spinal well being. A strong back will certainly help you in looking and feeling young at an advanced age.